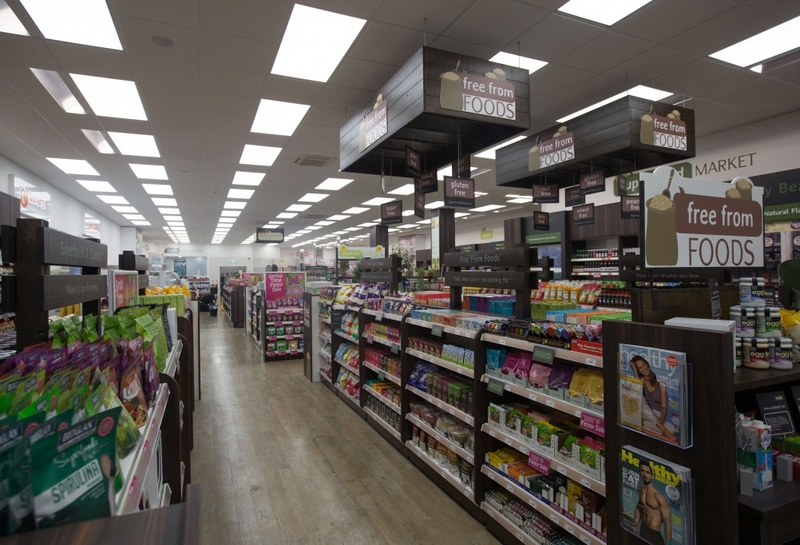 New concept store Holland & Barrett More sells more than 700 “Free From” foods, for those with allergies and intolerances. 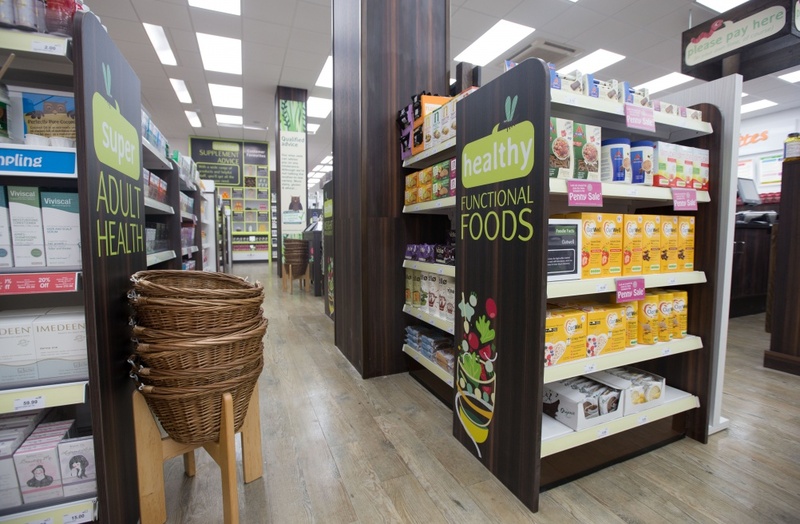 Holland & Barrett has opened its largest retail space yet, in the form of a new concept store focused on food for those with allergies and intolerances. 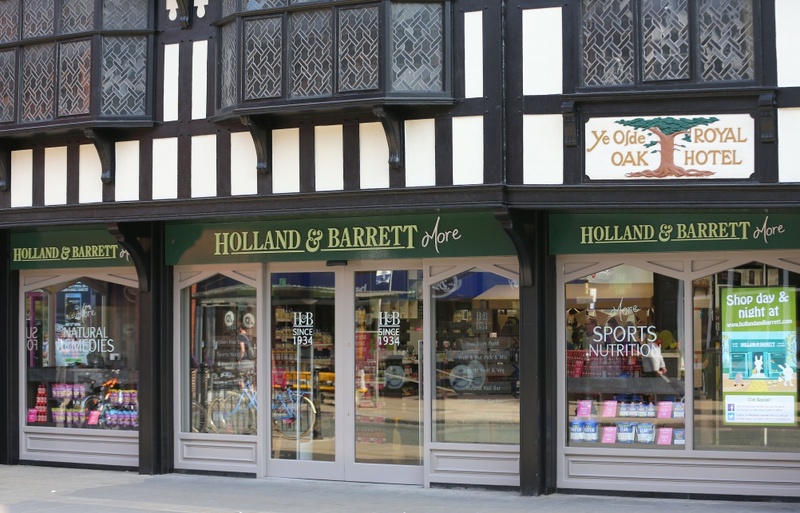 The 500m2 shop, named Holland & Barrett More, has opened in Chester and is the first of 50 new stores planned to launch within the next two years. M Worldwide designed the interiors for the store. It holds 700 “Free From” products, which will increase to more than 3,000 by the end of 2015. 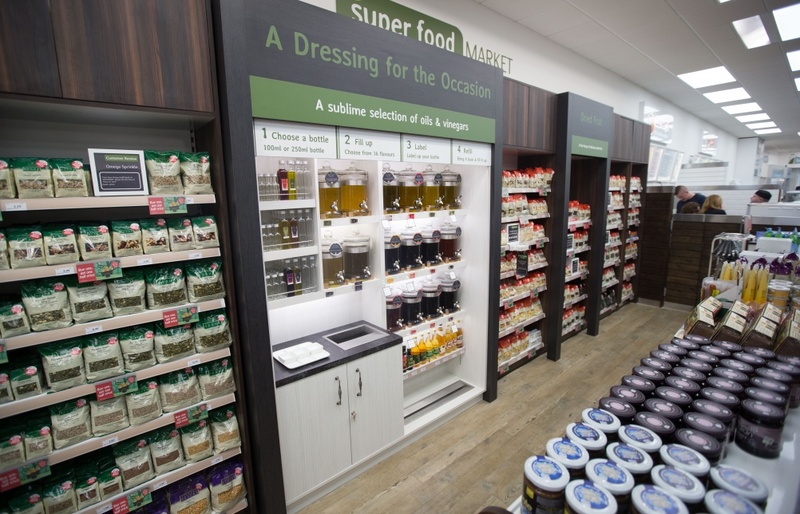 Ranges include gluten and dairy free, as well as food for those with nut, egg and fish allergies. 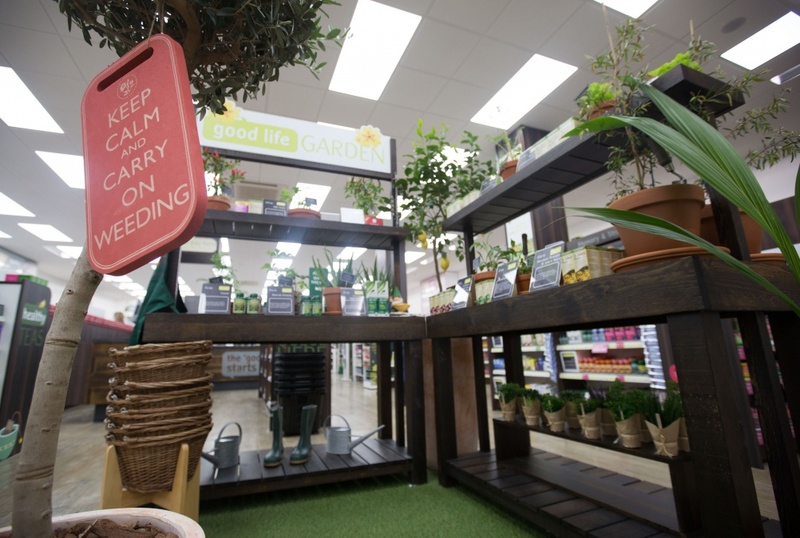 Concepts within store include the Tea Bar, Oil and Vinegar and Jelly Bean areas, alongside stands selling vegan food and smoothies. 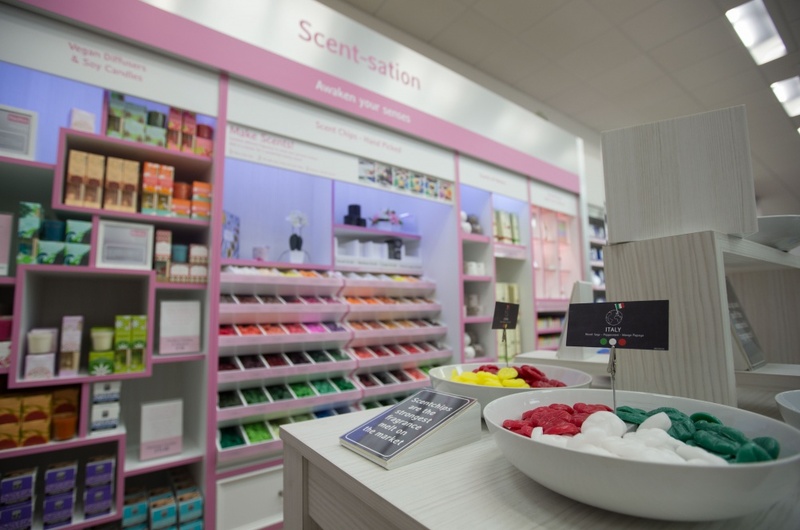 Additional areas include the Natural Beauty Section, selling natural skincare and make-up, and a Beauty Kitchen and Scent Station where customers can create their own bespoke products. The retail shop is complemented by an online store, where UK customers can search for products based on allergen and order them for home delivery. 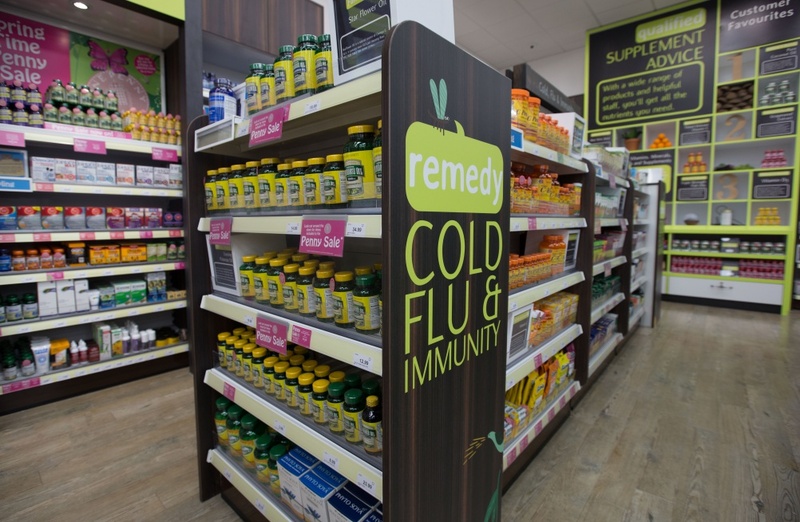 The company has also collaborated with charity Allergy UK with the aim of drawing attention to the impact allergies can have on people’s lives.